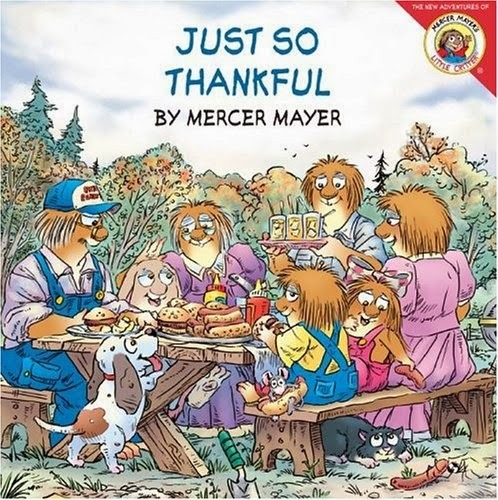 Read: “Just So Thankful” by Mercer Mayer. Little Critter meets a new kid in town who has gadgets and toys that cost a lot of money, and he will never have. But he discovers that he has something better, things that money cannot buy, his family. 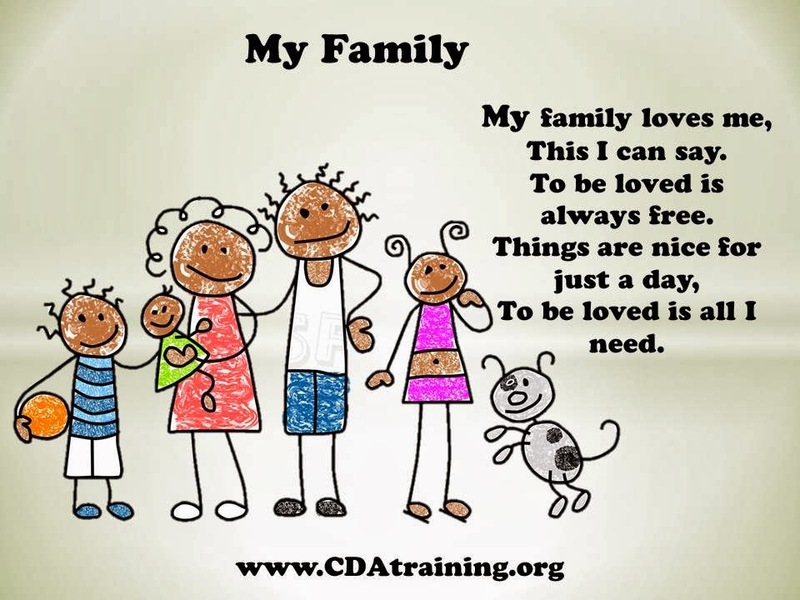 Rhyme: Help children recite this rhyme. Materials needed: Small mason jar, construction paper, glue, wiggly eyes, markers, scissors and something to fill the jar (see below). Directions: Cut out several feather shapes, a small triangle for the beak, and an oval shape for the "gobbler". 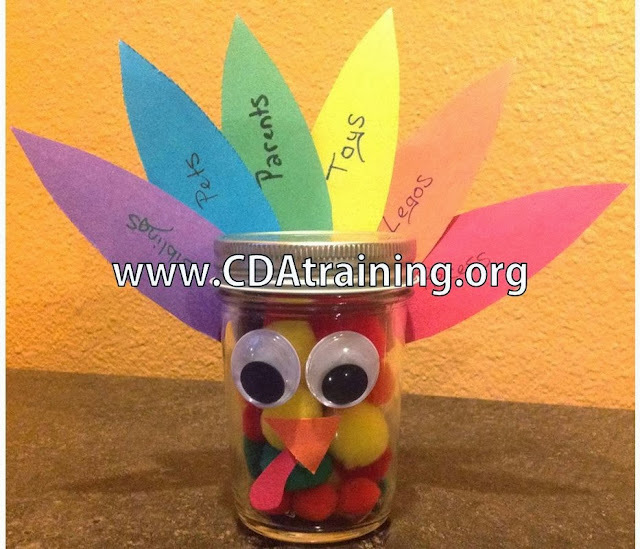 Instructions: Have child write what they are thankful for on a feather, attach the wiggly eyes and beak shape. Help children attach each feather and discuss what they are thankful and attach them to the jar. We filled our jars with pom poms, other ideas for fillers are M&Ms, tissue paper, raffia, or colored fabric.